Wilson Sonsini and its new tech ancillary business, SixFifty, may be ushering in a new wave for providing legal services and law firm marketing. The combination promises to provide automated legal services for more commodity type services under the Wilson Sonsini brand in hopes that it will generate more lucrative business for Wilson Sonsini later. Wilson Sonsini is a premier tech related international law firm with long standing roots in Silicon Valley. It describes itself as the “premier legal advisor to technology, life sciences and growth enterprises worldwide.” That’s probably not much of an exaggeration. When it comes to tech and corporate work, it doesn’t get much more well known in tech circles than Wilson Sonsini; Antonio Garcia Martinez, in his fascinating book about the power machinations of Silicon Valley, Chaos Monkeys, called the firm “the most expensive and formidable firm in Silicon Valley”. SixFifty is a business created by Wilson Sonsini and Kimball Parker, a legal tech entrepreneur and former director of LawX at BYU Law School . He was also an attorney with Parsons Behle in Utah and created a Parsons Behle subsidiary and ancillary business there as well. While there, Parker created an automated tool to help clients cheaply and accurately navigate GDPR compliance. Composed of lawyers and engineers, SixFifty seeks to develop similar automated tools to make legal processes more affordable and efficient for Wilson Sonsini clients and, of course, potential clients. Several months ago, Wilson Sonsini reached out to Parker in hopes he could work with the firm to create automated services (that don’t, of course, constitute “legal services” for UPL purposes) to those who might not be able to afford Wilson Sonsini lawyer rates or who are unwilling to pay Wilson Sonsini rates for the kind of services they think they need. Specifically and most immediately, Wilson Sonsini and Parker want to provide an automated service for compliance with the new California Consumer Privacy Act or CCPA for short. Wilson Sonsini and SixFifty plan to launch this product later this month or by early May. That would have been moderately interesting but not surprising. But Wilson Sonsini and SixFifty plan on doing a whole lot more. I spoke at length with Parker and The Chief Knowledge and Talent Officer of Wilson Sonsini, Chris Boyd about the project some time ago. Since then, Parker was interviewed by Bob Ambrogi on his podcast LawNext. Its an interesting interview and Parker repeats many of the same things he told me. You can hear it first hand here. In essence, the idea is for provide automated services that for certain legal related tasks through AI and bots beyond CCPA compliance. Wilson Sonsini and SixFifty say they hope to capitalize on the underserved who can’tafford Wilson Sonsini but want to get the Wilson Sonsini expertise. They hope to make money on the service by creating it and then charging subscription fees or one time fees for use. The service, once created, will cost Wilson Sonsini and SixFifty next to nothing and hopefully produce sustaining profits. Wilson Sonsini and SixFifty say they hope to capitalize on the underserved who cant afford Wilson Sonsini but want to get the Wilson Sonsini expertise. But Wilson Sonsini and SixFifty want to do even more than that. As Parker points out, his Parson Behle experience was that the system he created for GDPR compliance business actually wound up increasing more traditional legal work to the firm. And Chris Boyd points out, “almost all the companies using the [SixFifty] product will end up needing the work of a lawyer”. Why? Well, for one thing, by using the bot and AI, many users discovered they had other or related legal needs for which a real lawyer was necessary. For another thing, when those clients who used the automated successfully—many of whom have never used a lawyer and wouldn’t otherwise—have subsequent legal problems, who will they likely call? The firm that helped them and didn’t charge much. There is thus a venture capitol dynamic at work here. Many of those using the automated system may never have need a lawyer again or might go elsewhere if they do. But it would only take a Steve Jobs or Sergey Brin to make the project well worth the effort. Especially since, again, once built, the service will cost virtually nothing to run. (A bot is unlikely to ask for a raise). So Wilson Sonsini is really gambling on getting, say, a $10 million client while betting next to nothing for that chance. If you have and know the documents in a case, you quickly become virtually indispensable to the client: its too expensive and time consuming to go elsewhere. And finally, once the automated system is used, Wilson Sonsini and SixFifty have access to a significant amount of information about an actual or potential client which will enable it to quickly learn about the company, its needs and status. As one of my partners used to put it, if you have and know the documents in a case, you quickly become virtually indispensable to the client: its too expensive and time consuming to go elsewhere. So what areas are being developed? Parker says first up is compliance with the CCPA. That’s important since even though this is a California statute, it impacts everyone who does business in California above certain thresholds. That will give Wilson Sonsini exposure to and access to clients nationwide that it might not otherwise have gotten. Not to mention the fact that it builds the Wilson Sonsini brand across the county. Fast forward 10 years: Gates Jr. has a multi million dollar contractual issue involving non payment. Where is he going to go? This makes sense since privacy is critical practice area to Wilson Sonsini. But SixFifty plans to move into debt collection and immigration areas as well with future automated systems. (And SixFifty plans to provide a pretty significant pro bona offering which Parker says will aid in providing A2J solutions). These are not, of course, areas where Wilson Sonsini typically practices. That may be true, but as I said above, the project is driven by a significant business development component. Suppose Bill Gates Jr. has a minor debt collection problem either as a debtor or creditor. He uses the Wilson Sonsini/SixFifty bot successfully, gets to know the Wilson Sonsini brand and maybe a lawyer or two, gets a good (or good enough) result and is charged what he considers a reasonable price. Fast forward 10 years: Gates Jr. has a multi million dollar contractual issue involving non payment. Who’s he gonna call? Or imagine the next Elon Musk is emigrating to the U.S. and needing help. Same thing happens, he’s successful, he’s charged a reasonable price and he gets to know the brand. Who will be at the top of mind for a more sophisticated legal problems? Smart marketing: the service costs Wilson Sonsini nothing once its created, generates a small profit and is a good bet for the future. And there’s another business development component to this as well. 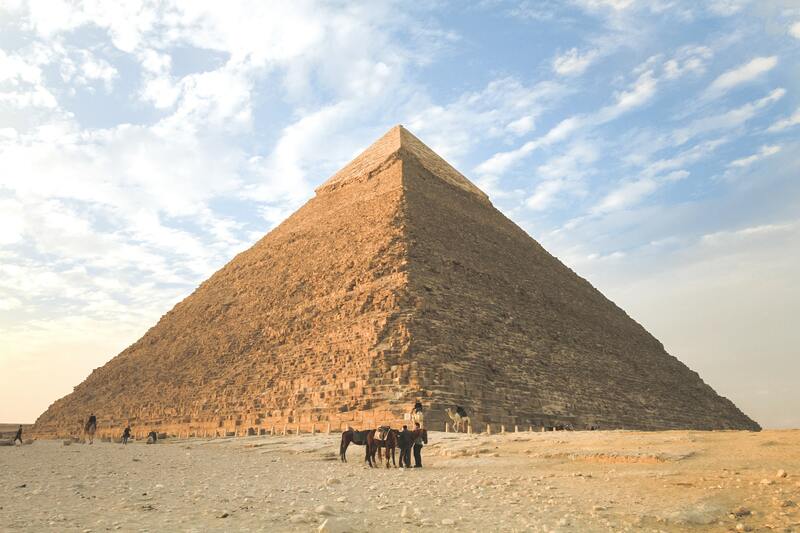 Think of legal services as a pyramid. Say about 70% of the legal work being done by many law firms can be done more efficiently by automated services leaving only about 30% of work calling for the time and attention of a skilled lawyer. If a firm could somehow capitalize on this pyramid, offer lower costs for the commodity portion of the pyramid in exchange for more business at higher rates for the top of the line work, it could tap into a pretty sizable market. And make no mistake, that’s exactly what Wilson Sonsini and SixFifty want to do. They make no bones about the fact that they see lots of smaller and mid size firms doing commodity style work and charging bespoke prices for it. Automated services could take that work, make a profit on it and use it as a feeder system to snare the more sophisticated work that these firms are doing now. And it could do it not just in areas where Wilson Sonsini has offices, but across the globe, reaching areas and competing in markets where it does not yet have a foothold. It’s a pretty savvy long term business move that in and of itself sets Wilson Sonsini apart. Most firms, especially mid size firms, think they are making good money with the standard business model and there is no reason to rock the boat. The problem these firms have is that the introduction of automated services internally would cannibalize some of the work they are already doing at inflated rates and time. But Wilson Sonsini and SixFifty aren’t into cannibalizing; there into taking: taking low hanging and new fruit and increasing the overall business of the firm with little cost. To the extent that this cannibalizes some of their work, so be it. They are betting this will be more than offset by the new work.